At UYEE, we encourage employees to share some of their work experiences, so that we can promote mutual learning and continuous improvement of professional skills. In the CNC machining workshop, from CNC programming to operation of the machine we are strict management, make sure there are no problems with each procedure. For example, when the CNC programming is complete, the production supervisor will check and confirm. During Parts of manufacturing process, the Production site manager will be from time to time inspection. Our CNC machines run 24 hours per day, three groups of staff work in turn. 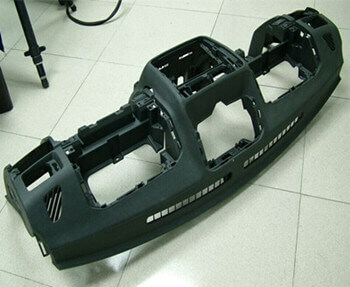 When one big size of plastic prototype is in need, We can consider it to be split and glued to reduce production cost. And also, actually this type of big size part can not be CNC machined as a single one. Look at this CNC prototype project for instrument panel. It’s made from ABS material. The finish is polished and painted, cost 10 Days to complete 1 piece.